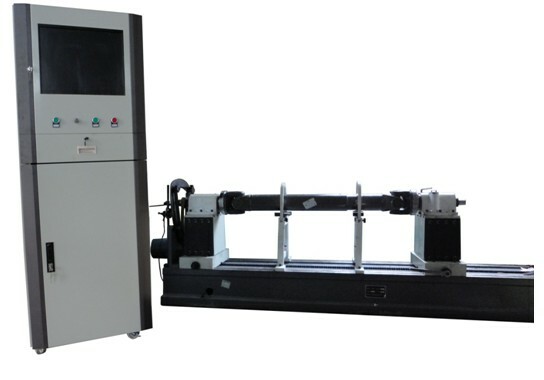 Drive Shaft balancing machine is an ideal euipment for a car to balance and check the drive shaft. 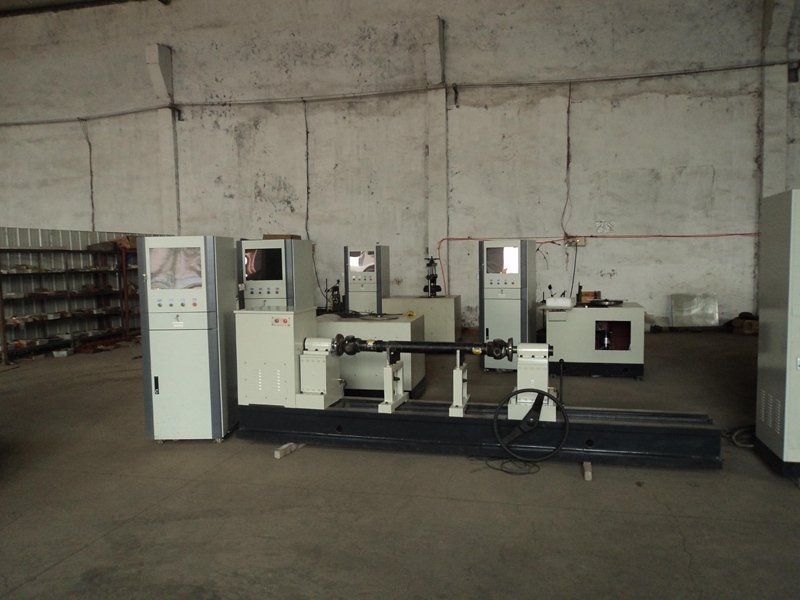 Just replace the installation of the workpiece fixture, you can make a variety of automotive drive shaft of the balancing correction, Dual-speed motor (inverter) drive, handle fast-brake brakes, double-sided balance, swing frame adopts semi-rigid supporting structure, measurement systems use RYW-2001 balance measurement software, with industrial control computer and control cabinet. 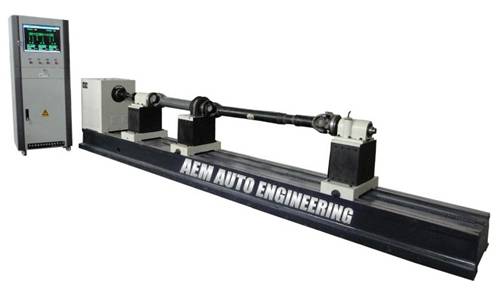 Drive Shaft Balancing Machine is an ideal euipment for a car to balance and check the drive shaft. 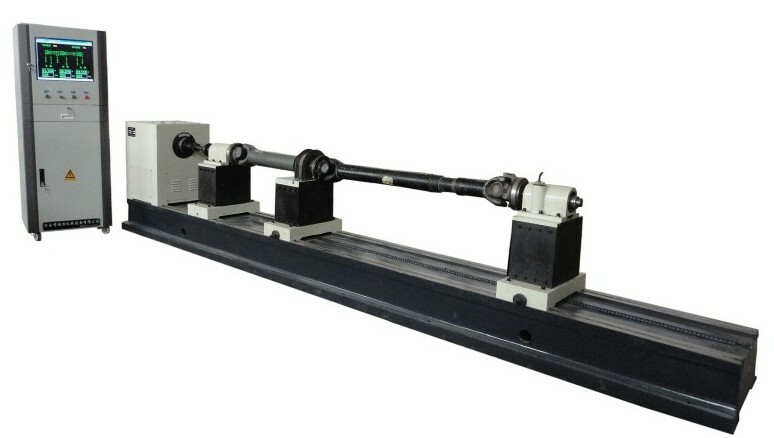 Just replace the installation of the workpiece fixture, you can make a variety of automotive drive shaft of the balancing correction, Dual-speed motor (inverter) drive, handle fast-brake brakes, double-sided balance, swing frame adopts semi-rigid supporting structure, measurement systems use RYW-2001 balance measurement software, with industrial control computer and control cabinet. System testing of high precision, reliable, easy maintenance, more advanced than other test systems. Adopt automatic tracking filter circuit and system computer that manufactured by abroad advanced integrated circuits to maximize the degree of integration of the electrical appliances, modular design and high-integrated circuit is a distinctive feature of the aircraft. Software interface designs friendly, you can store more than 100 rotor parameters, measurement is simple, you can only enter the type of numbers of the rotor than can enter into the measurement procedure, the screen displays the size of the unbalance and phase angle and real-time speed, rotor number, character prompt steps, real-time status display signal processing / de-emphasis status etc.